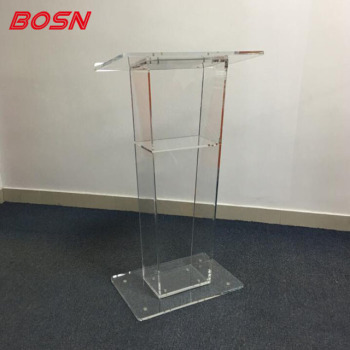 26.5" x 47.4" x 15.8", 26.5" x 47.4" x 15.8"
This shinning look lectern is made of clear acrylic, plexiglass. 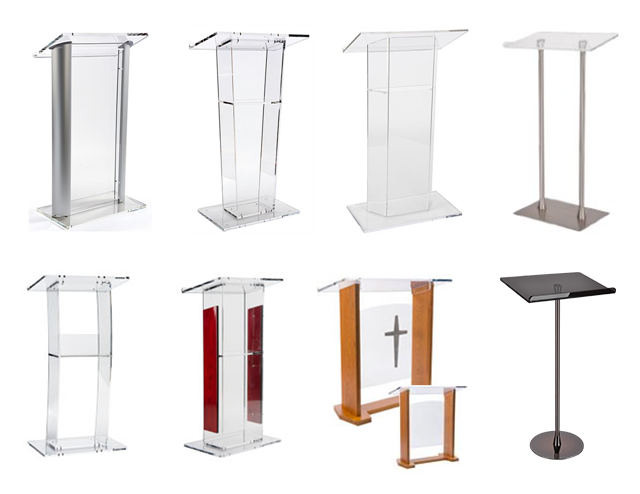 Features a "V" Design and Top lip to hold papers in any conference rooms, Middle shelf to put bottles of drinks. Package: Knock-Down PARTS to be Shipped. It can be used in School , Government, Churches, Hotel...ect. 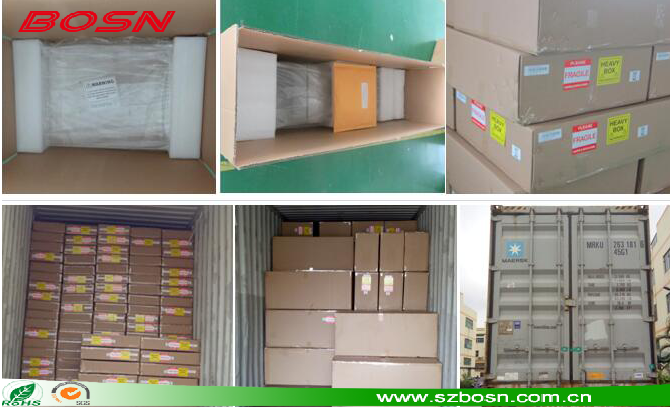 We will help you fabricate, In time, Good Quality and Speedy Delivery.